We live in a day and age where everyone loves gaming and spends most of their time on it. Games have evolved from single player to multiplayer games. There are a variety of games created that can be played with many different people online. When it comes to playing multiplayer games, one thing that is most important is communication. Communicating with the team players is very important as they need to come up with strategies or plays on how they can win the game or level up. One of the most popular messaging applications used amongst almost all the gamers around the globe is Discord. 2 Why the Discord Application Won’t Open on Windows? 4 How to fix the Discord won’t Open Error? Discord is a free messaging application that is perfect for messaging among gamers. It is a VoIP (Voice over Internet Protocol), which is basically allowing the users to use the internet to chat online. It comes with many features built in with it, which gives a user an all in one functionality. Discord, a popular messaging application runs on Windows, MacOS, iOS, Android, Linux, and also in web browsers. It was released three years ago, and since then the number of users using this software has increased drastically. There are said to be 130 million users of this application as of the month May of 2018. This application has almost every other feature of the popular messaging applications, making it one of the hottest applications in the market. It is available in 21 different languages and millions of users online playing various games with their friends from different parts of the world. But there are always certain situations in which many of the users while using the application might facing a few problems. But one of the most common problems with this particular application is the “Discord won’t open.” or “my discord won’t launch.” problem. It is an instance in which, the user wants to use the application to message and chat with their friends or chat while gaming, but the software malfunctions or glitches and does not open up. Causing the user to be frustrated, especially when they don’t know how to fix it. There are various reasons as to why the application won’t launch. But there is no reason to worry as this problem has various simple solutions that can be used to resolve the issue. Why the Discord Application Won’t Open on Windows? A lot of people use discord on their Windows PC while playing games and for using this software. And in most of the cases, the users face the problem of the discord application not opening on their desktop. It is one of the common errors among many users of this application. And since it is general problem, the reasons for why discord won’t open is known for most of the situations. One of the reasons being that if there are many applications running in the background, then the software will not be able to launch properly. Too many processes can cause the application to lag and hence it will not be launched properly. In certain instances, it can also be the antivirus that is installed in the computer that interferes in the opening Discord and does not allow the application to launch properly. 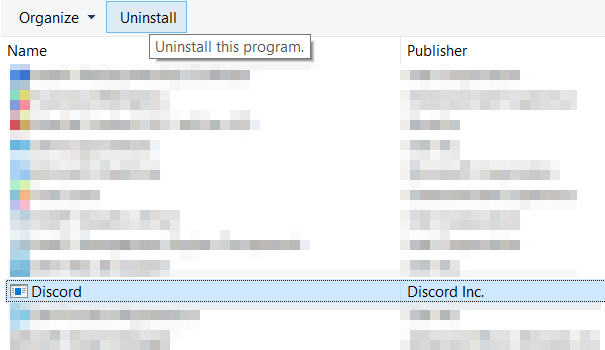 If the Discord application is synced with a game of any or any other program can disallow the user to open the software. This is a recurring problem that many people face. 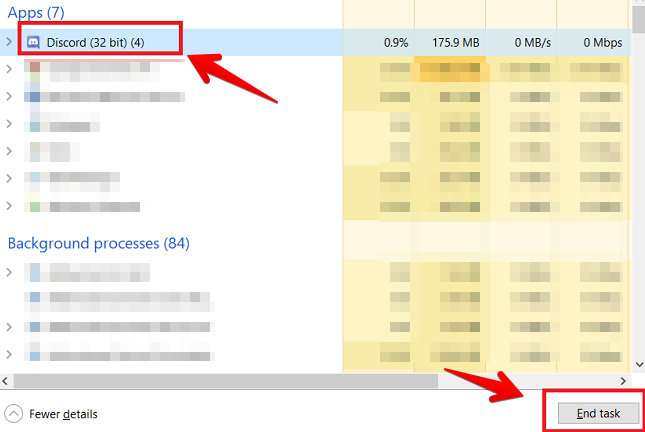 If the user makes use of Windows 10 version and the discord application does not open it might due to corrupt files, excess cache folders, or an overloaded CPU. These are the few common reasons as to why the application won’t open in the Windows operating system and with the below solutions, it can be fixed in an instant. The solutions are instantaneous so resolving the issue is a piece of cake. Chatting: If a user wants to chat freely without any problems and how many ever times they want, then this is the perfect application to use. Discord provides 100% free communication and no constraints on the person using it. Safety while playing online: When playing online the one thing that people look for safety. Discord has a server that is encrypted that secures the IP address of all the communications done by the clients safe. In the back end of discord on the cloud, they have Erlang that fixes bugs automatically and it also has a built-in DDoS protection with an automatic server failsafe. Staying in touch: If the user finds using a mobile phone more comfortable then they can download the discord application onto their device which they can get from both the play store and app store. After signing up or logging in they can chat with their friends as long as they have the others id. Design of the chat: We live in a generation where everything needs to be pleasing for the eye. And Discord takes care of that. The template of the chat is in such a way that a user can easily use it and also transfer items such as images, gifs etc from the PC to the mobile phones without any problems. Voice Channels: With most of the voice calling applications there might be many problems while talking such as echoing, the jitter on the line, etc. But with discord, none of that will happen. They have a superior voice technology which cancels out all of these problems and allows a user to make calls freely without any hassles. A secure environment: At discord one thing that is value most is the safety of the users. If there is someone bothering the user with unwanted and offending messages, then the person can block them with the feature that they have. Apart from that if a user makes friends, they can add them to the list and make private and group chats to talk in. Starting up: Discord is one of the applications that are very easy to use. It takes such a short time to set up an account, logging in and going about their merry way of chatting and playing games. Gaming scenario: – This application was designed keeping the gamers in mind. This the gaming aspect for the user is not affected at all. SO when the user downloads discord onto the PC, the effect that it has on the PC is very minimal. A secret key (Alt + tab): This application modifies itself every now and then for the sake of providing a better gaming experience for the users, Discord gives you the option of viewing who you are talking to while playing the game. You can also kick people out of a chat without having to quit the game at any instant, you can change the serves that you are using along with the channels and adjusting the settings on the volume. Storage: The best part of this application is that it uses low storage space, making it very friendly for the system. Cost: One of the best features of this application is that you don’t have to pay for using any of these features. Though recently, an update has brought sticker packs and emojis that can be used at a particular price. To procure an outstanding performance with the Discord application, downloading the Windows or OSX app will help the user get the performance that they desire. These are the unique features of this application that make them one of the popular and most used messaging applications. How to fix the Discord won’t Open Error? Most of the time many applications might have a recurring problem. Sometimes they have glitches in the software or sometimes it can also be the systems fault. 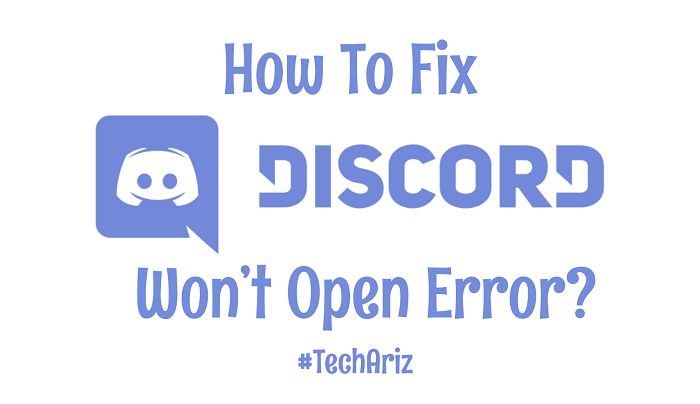 Discord won’t open is one of the common errors that many of the users face when it is regarding this particular application. That is when the user wants to launch the application while playing games or just to chat, they end up facing this sort of an error. “my discord won’t open”, “discord won’t launch” etc is the common queries that almost every user have. But there is no reason to panic as this is one of the simplest errors that can be resolved quickly and hassle-free. The following solutions below are a simple guide to fix this problem. When a user comes across the problem on why their discord won’t start or why it won’t, then they can call follow the simple steps given below. Press down on the Windows Key+R key together. When the run window opens, the user needs to type cmd which will open the command prompt window. 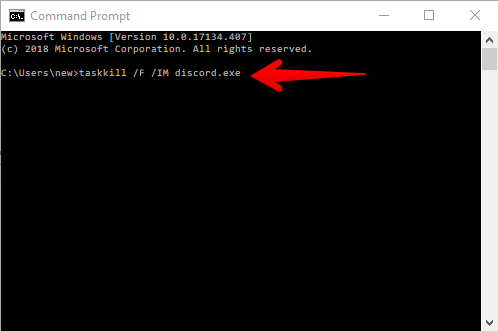 Once that window opens, then all the user needs to do is to type “taskkill /F /IM discord.exe” which will kill the discord.exe. After this, the user can restart their system and run the discord application. This should launch the application without any errors. Press and hold CTRL + SHIFT + ESC keys together. This will open the Task Manager window. Navigate to the Process tab and search for the discord.exe from the list of files. After finding it, choose the discord.exe file and select the End Task button that is present on the bottom right corner. If there appear to be more than one discord.exe processes, (though there is always only one), repeat the above three steps for all the discord.exe processes. After this is completed, the user can relaunch the discord application and it will work normally. One of the reasons as to why discord won’t launch in the system is because of corrupt files or data. if a system has lost power or crashed while saving a file, then it signals that there are some corrupt files in the system. And because of this might Discord won’t open error might pop up on the screen. Scan the system for the existence of corrupt files and malicious data. If these are found, and taken care of, there is a high chance of the application being launched again and no errors occurring. If the application is stuck on the main connecting screen or is still held at the starting point, then the following steps can be done. The process varies depending upon the type of operating system that is used. 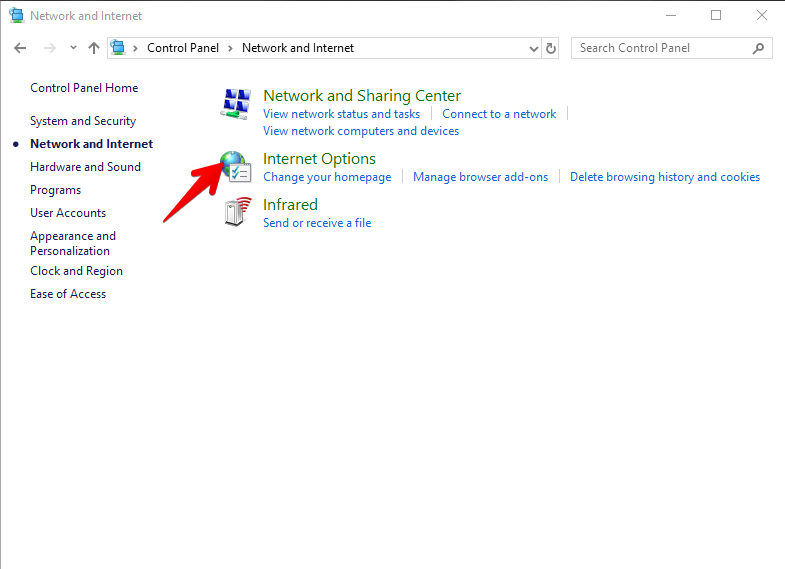 If the user has a windows system then, go to Control Panel and click on the Network and Internet option. 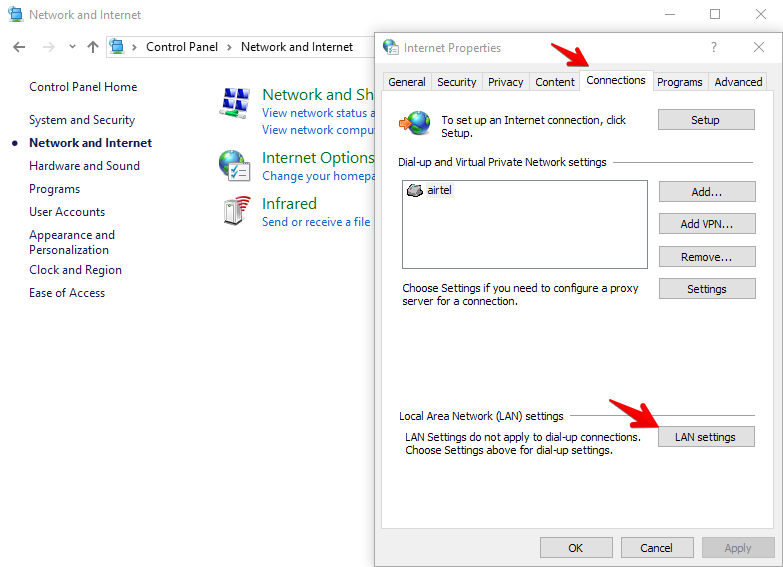 In this particular window, click on the Internet Options and click on Connections. 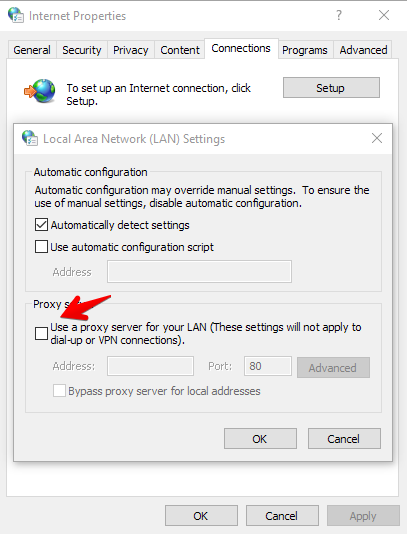 In this window go to LAN Settings and uncheck the “Use a Proxy” if it is checked. Go to System Preferences and click on the Network option. Changing the network settings helps in running the application for many users. One of the reasons as to why discord is not opening might be due to the cookies. For quite a few users the login process was not required for the web app because the issue with the Discord windows app was resolved the moment the web version was opened. There are many users who logged onto the web version separately and when they did, the discord app started working. This is probably because the account gets reset and goes back to functioning normally. 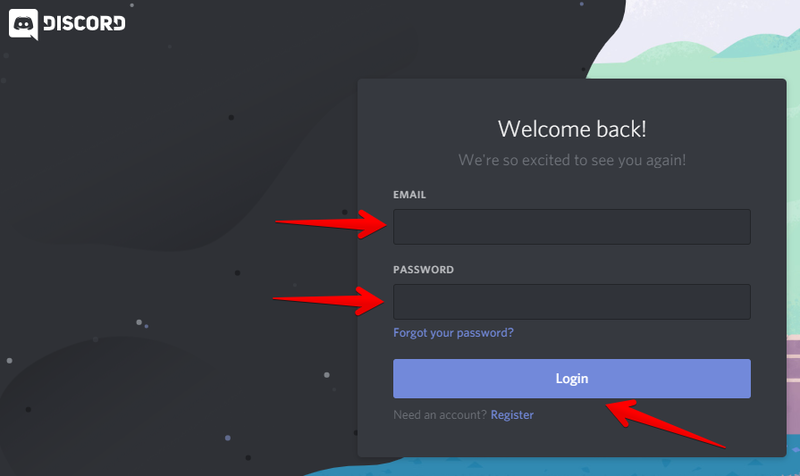 Go to the https://discordapp.com/login in the web browser. Enter the login credentials and you can safely log in. In some cases, the reason why discord won’t launch is that the application is not updated. So once the recent version of the software is installed, the user should be able to launch the application properly. Restarting the system and then launching the program is a good option. Sometimes if the system is old, then the discord won’t run especially if it is the latest version. The only solution to this is that the user reboots and updates the whole system. When this happens, the application should be launched without any problems. In some cases, if discord won’t launch it might be due to some installer errors. This can be fixed by the user, uninstalling and installing the application onto the system again. This method really works and the application runs smoothly. With the following steps, the user can uninstall and install the application. The first thing that the user needs to make sure of is that discord id not running If by chance the application is running then follow the steps mentioned in 4.1 to make sure that the program is still not running. Here are the necessary steps that you need to perform. Click on the Windows key and press R to open the run window. 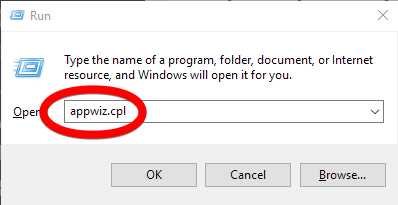 Then type the command appwiz.cpl and hit the Enter option. From the list locate the discord application. Choose that folder and uninstall the application. After that, the user needs to delete the app contents on the application. Open the run window by pressing the windows key and R key together. 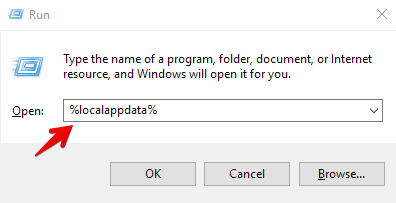 In the run window, the user needs to type %appdata%. Find the discord folder and delete it entirely. Once it is done successfully, the user can restart the system and again install the application. Another way to fix the problem of discord not opening is through deleting the %localappdata% contents. Open the run window by pressing the windows key and the R button simultaneously. 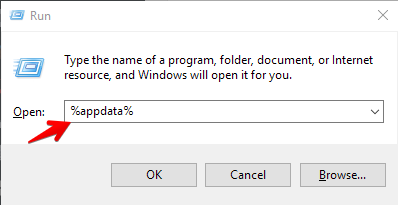 Then type in the command “%localappdata%” and click on the Okay button. After doing this, the user can install the application again and launch it. This time there will be no errors of any sort occurring. The user can reset the DNS or Domain Name System settings on their Windows PC, by doing the following steps. Always make sure that the Discord application is not running in the background. If it is, then kill that particular task in the task manager and continues. Press the Window key and the X keys together and choose the option Command Prompt (Admin) from the menu. By doing this, the user will Run Command Prompt as the Administrator. 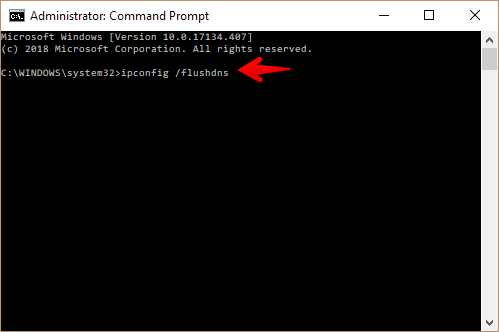 Then in the Command Prompt, the user needs to type the“ipconfig /flushdns” command and press Enter. After this, the user can exit the command prompt. Restart the Discord app again. The “Discord Won’t Open” error will get resolved and the discord not starting will not be seen in the notification center. For certain users resetting the network settings, helps in successful launching on this application. If the application is not starting or opening one of the easiest and simplest ways to fix it, is through launching it directly. It can be done by following these simple steps. All the user needs to do is navigate to the source location where the file is present and click on the file to launch it. If finding the location of the file is difficult manually, then the user can use the below command. They can copy paste this particular command into the file explorer and search for the file. Once the file is found click on it to launch the application. This way the user can launch the application directly. For the windows users then the reason as to why the application is not launching is probably because the antivirus is interfering with the launch of the application. 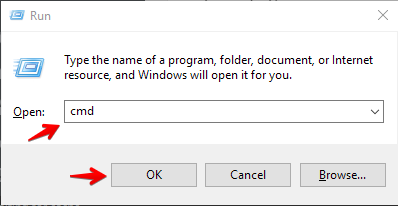 In Windows 10, the user can do the following steps to make sure that the application can be launched properly. 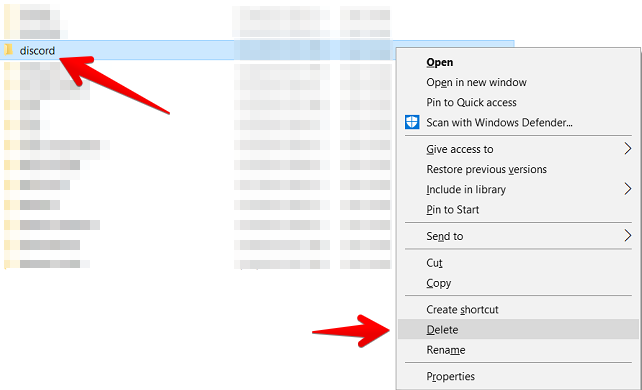 Hold down on the Windows key and the I key together to open the Windows settings Application. Navigate to the Update and security option, and then move on to the windows security. In this tab, go to the App and browser control and click on the check app and files tab. Here change the setting to “off”. If this particular setting is on “block” that is probably the reason why discord could not launch. After this scroll down and change the rest of the settings to “warn”. It is also mandatory that the user makes sure that the controlled folder access is turned off. Another way to fix this particular error is to allow apps from everywhere. That is the user needs to go to the setting application. And in that, they need to select the Apps tab. In this window, they need to select the Apps and features tab. In the installing apps section, a drop-down menu will appear. Here they need to click on the apps from everywhere option. This allows access to the discord application to be launched properly. Minimizing the excess cache files or remaining files in the folder can help in the successful launching of this application. These above processes are applicable only for those who are using windows 10 system. These are the few ways through which the user can fix the discord won’t launch or won’t open error, without having to worry about anything. There are millions of users making use of this application for chatting as well as gaming. Hope this guide provided an insight as to how to fix this error.